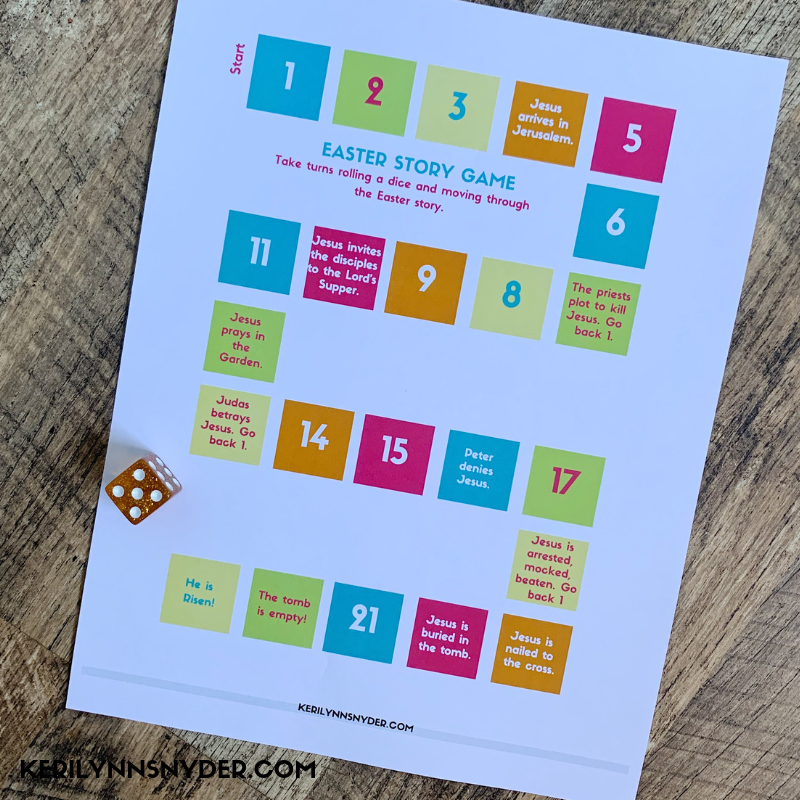 Use this Easter countdown banner to help your family countdown to Easter while creating intentional moments as a family! 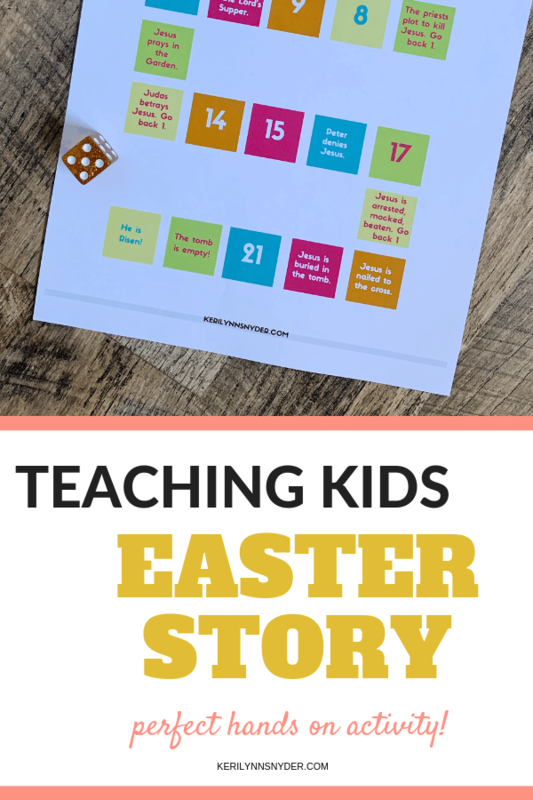 This Easter countdown banner is a simple and fun way to celebrate Easter while teaching your kids truth. We have slowly added to our Easter family traditions. 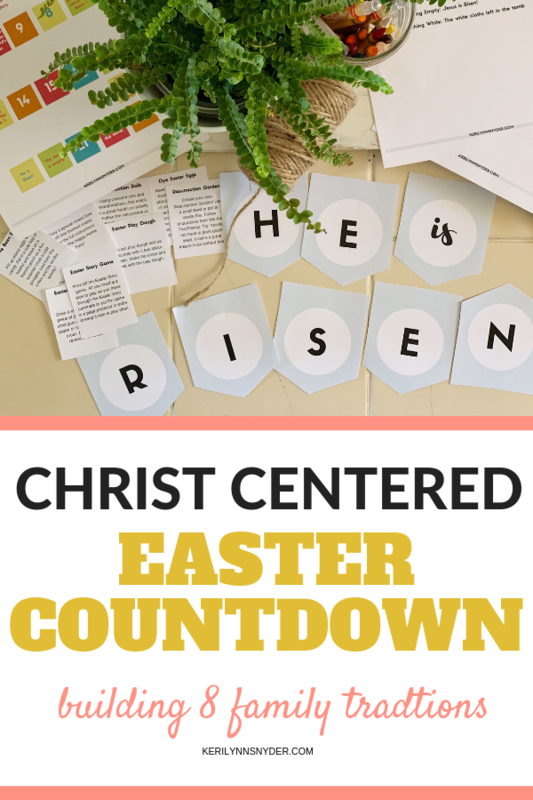 As I was deciding what we would make time for leading up to Easter, I started thinking about how we have Christmas countdowns but not really an Easter countdown. And there was created the Easter Countdown! It is so simple and is just a tool to help you create those intentional family moments. 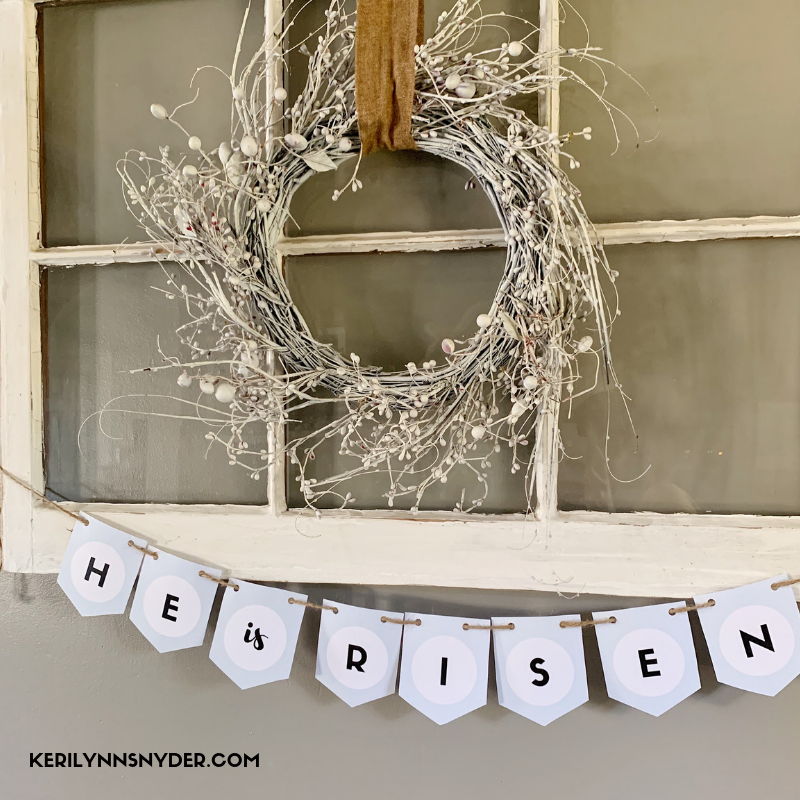 Purchase the Easter Countdown Banner Printables for $8 Get it here. 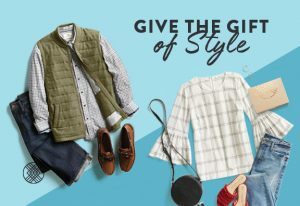 Purchase lifetime access to the Thriving Mom’s Toolkit for $24 (this then gives you access to all of the past printables that are in the toolkit plus any future printables). Get it here. 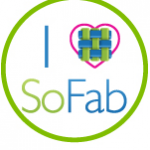 If you already are a member to the Toolkit, check your email for information! Cut the banner letters apart. 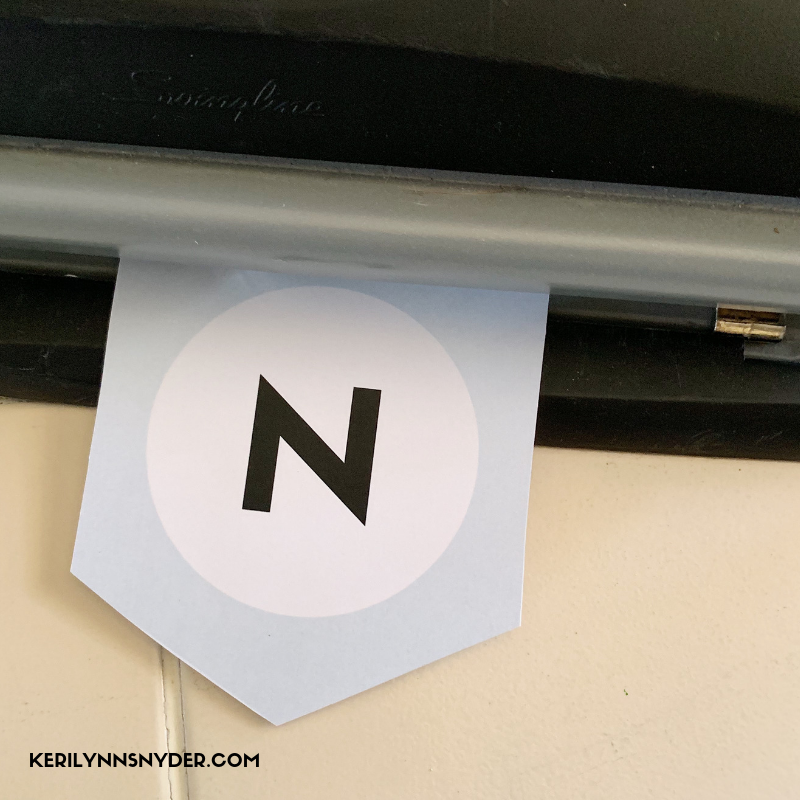 Use a hole punch to create holes and string the banner together. There are more cards than you will need. Pick out the ones that fit your family best. 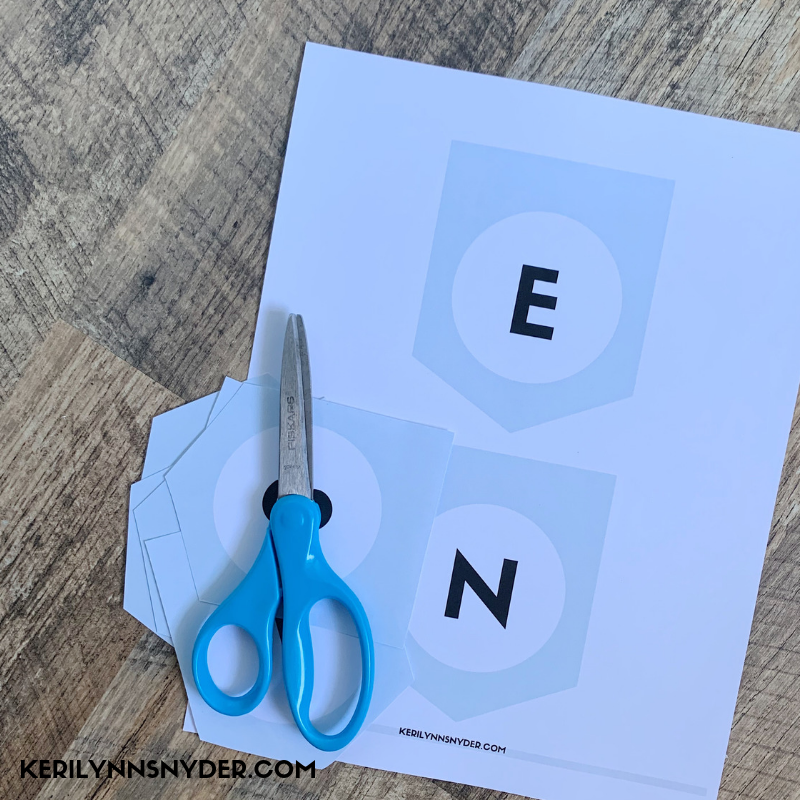 The idea is to glue one activity card to the back of every letter. Leading up to Easter, you can flip the letter over to view the activity. However, you do not want to glue them, then you can always place in a jar. Then just keep the jar somewhere you will be able to easily access and pull out an activity a day. The banner has 8 letters so ideally you will have 8 activities, but you can do less or more! 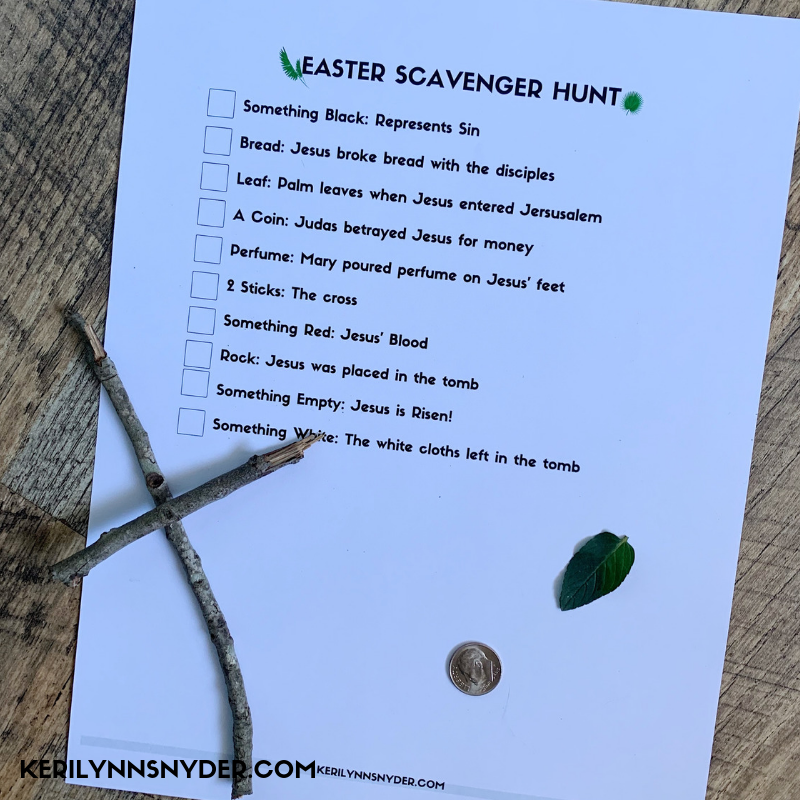 Start with enough time before Easter and have fun creating memories with these Easter traditions. You can always add in your own ideas as well! 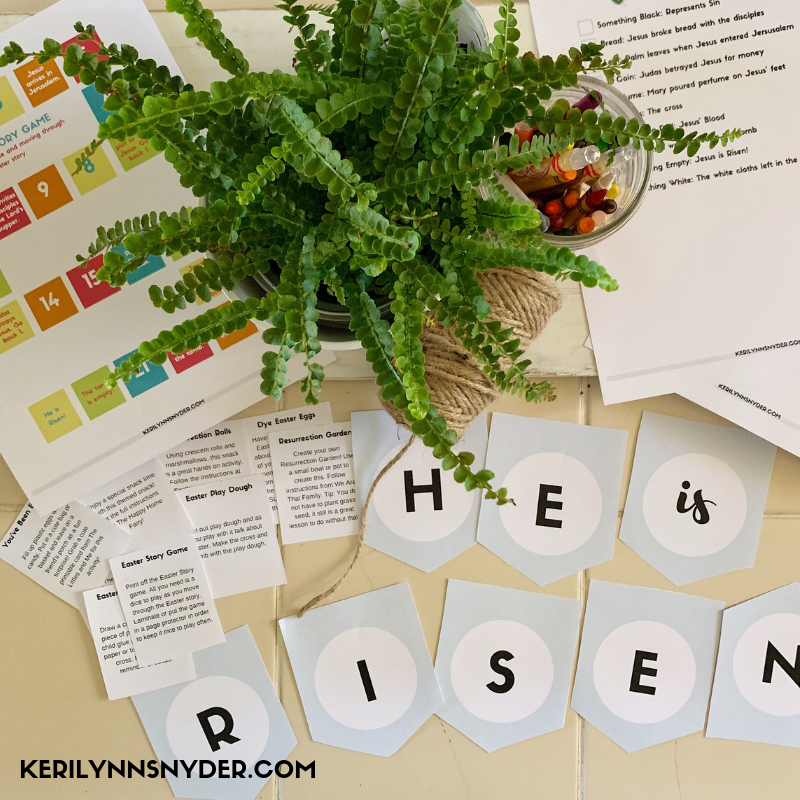 Grab your Easter Countdown Printables today! 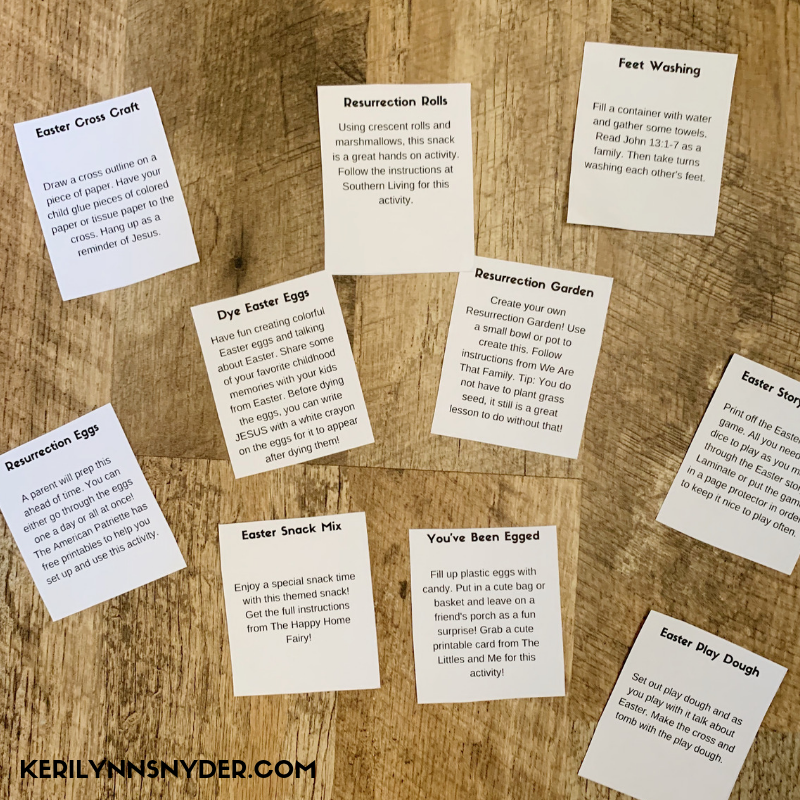 Purchase here for $8 or purchase here to gain access to the Thriving Mom’s Toolkit for $24 to receive this plus access to future printables! Want to remember the Easter Countdown Banner? 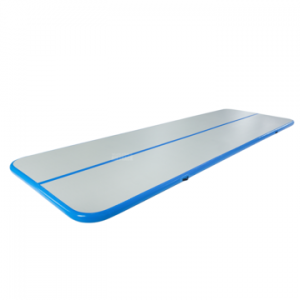 Save this image to your favorite board on Pinterest! 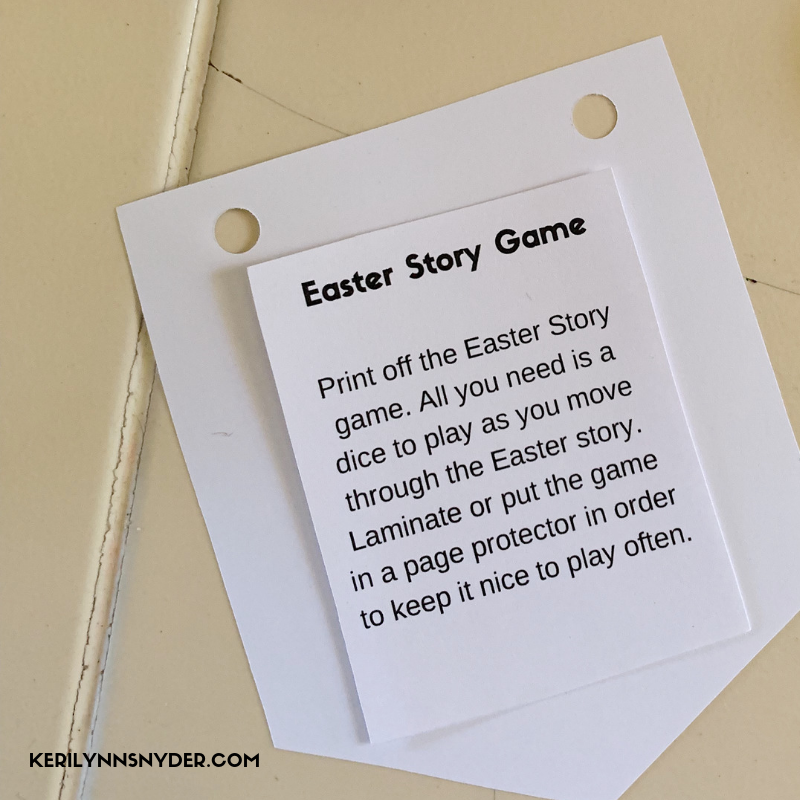 Want to see more Easter activities? 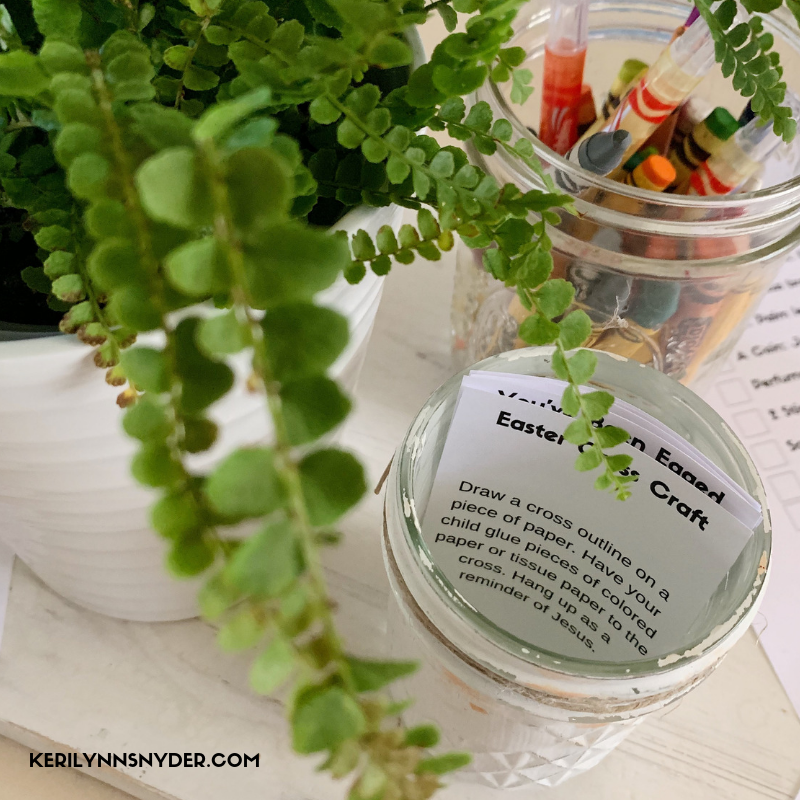 Check out these intentional Easter activities!